Food for thought: Has Delhi become the hub of culinary creativity? Over the past fortnight, three new food destinations stood out as examples of quality and innovation. Delhi's restaurateurs now seem to have gotten into a routine of continually raising the bar for the competition. 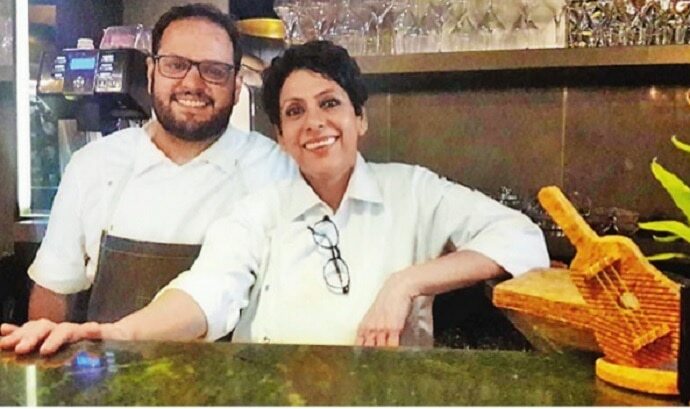 The thought was articulated to me first by Ashish Kapoor, co-owner of The Wine Company and Whisky Samba in Gurgaon, and Antares in Goa, when he said to me that he wished to be remembered because of the food served at his restaurants, and not for the drinks. After all, you wouldn’t remember a Hibiki because of the place where you drunk it, but because it is an experience to find this celebrated Japanese whisky. Over the past fortnight, three new food destinations stood out as examples of quality and innovation trumping all other elements of the dining experience. Let’s start with the opening of BreadTalk at Select Citywalk, Saket. 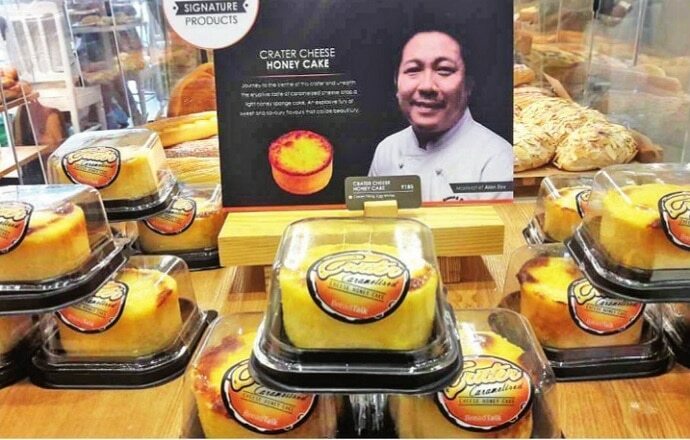 BreadTalk is Singapore's most successful bakery chain, selling one of its famous freshly baked buns every 17 seconds in close to 1,000 outlets carrying its banner in 17 nations. And if it has taken 18 years to register this growth, it is because it has a policy of not entering more than one market a year, because on each occasion it does so, its product development and marketing teams fly in from Singapore to ensure a flawless transfer of technology and knowledge. The BreadTalk at Select Citywalk will have more than 40 kinds of bakery products, including seven different kinds of buns, which will be rotated from one season to another. Its base flour is from Japan, it uses the proprietory formula for its delectable egg cream, and it has introduced a new element to our eating experience that I have fallen in love with — floss, or pulled, dried and flavoured shredded chicken (or what the Chinese call rousong) sprinkled over buns. TRES, at the Lodhi Colony Main Market, has returned with a new look, under a new management (Lite Bite Foods), and with a fabulous menu that comes with the aroma of the combined talents of Julia Carmen Dsa and Jattin Malik, who have been joined by Jamsheed Bhote, a young chef who promises to be the talk of the town. What blew me away was the Chicken Liver Ice-Cream served with caramelised shallots tart tatin. This class act was followed by a reinvention of the classical beetroot with goat cheese salad, where the goat cheese was presented as a bavarois (whipped cream) in a shape that seemed straight out of SH Raza’s iconic painting, Bindu. If the smoked duck breast with peppered barley kimchi tugged at my heartstrings for more attention, the vegetarian trio of baked artichoke hearts, Josper-baked camembert with red grape and pepper preserve accompanied by grilled sourdough, and braised moringa with whipped feta cheese on rice crostini — were unputdownable. I started my story with Whisky Samba. Let me end with it. Vikramjit Roy, the supremely talented chef you may have seen in action at Wasabi and then at Tian, is back in our city after a stint in Mumbai, and Whisky Samba is where he has transformed the menu with his take on Modern Asian cuisine (from tofu tartare to the brave yet tempting oaked whisky-infused lentil dumplings and the Asian ‘bheja’ dumplings made with lamb brain) combined with Nostalgia Food with a Twist, such as pumpkin curry, made after his grandmother’s recipe, cooked sous vide and served with avocado flatbread, the Bengali delicacy kosha mangsho flawlessly married with spinach upma, and stir-fried pork belly, inspired by his mother’s friend Mrs Wong, on a bed of pickled green chilli rice. Our city is flush with culinary creativity. It’s such a nice feeling to be a foodie here. The writer is a columnist for Mail Today, blogger at Indian Restaurant Spy and a founder member of the Delhi Gourmet Club.